Texas has a lot of what is considered "Hallowed Ground". Places where lives were sacrificed for the greater good. In most Texans minds "The Alamo" tops this list. 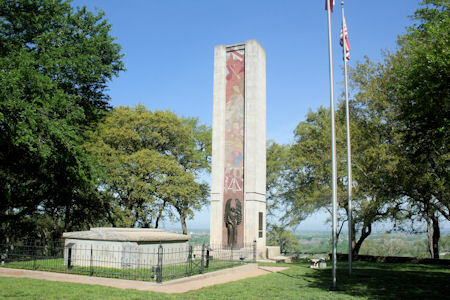 Then there is Goliad, Texas where James W. Fannin and his men were massacred and the San Jacinto battle ground where freedom was won. But that was not the end of hostilities with Mexico. Between 1836 and 1845 during the time when Texas was an independent Republic there were several battles with the Mexican Army. Some resulted in a significant loss life. 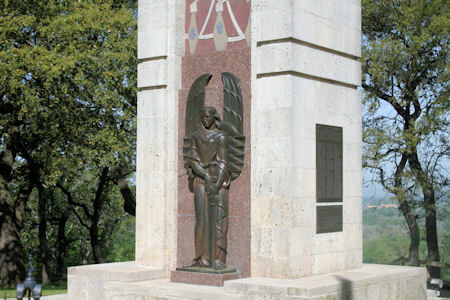 In the Fall of 1842 Mexican General Arián Woll invaded Texas. Nicholas Dawson of La Grange organized a company of 53 men from Fayette, Gonzales and Dewitt counties and attempted to join the fray. 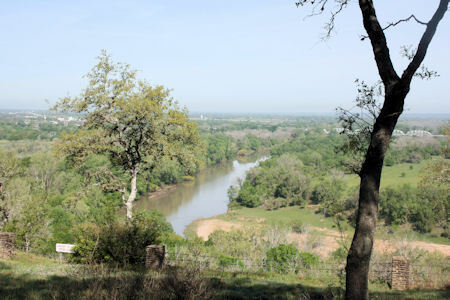 Near San Antonio he and his men were surrounded by a large of Mexican Calvary. The ensuing battle cost Nicolas Dawson and most of his men their lives. It became known as the Dawson Massacre. In the aftermath of the failed Mier Expedition a group of Texians that were prisoners of the Mexican army were being moved to Mexico City when they escaped. About a week later 176 men were recaptured. As punishment it was decreed that every tenth man would be executed. One hundred and seventy six beans were placed in a jar. Seventeen of the beans were black. Each man had to reach in and select a bean. Those who pulled out a black bean were to be executed. The doomed men were unshackled from their companions, placed in a separate courtyard, and shot at dusk on March 25, 1843. That same year, 1848, a site was chosen for a cemetery on a bluff overlooking the Colorado River. A small tomb was built and on September 18th, 1848 the remains of the Dawson Massacre and the Mier Expedition execution victims were buried with full military honors. The ceremony was attended by dignitaries including former president of the Republic of Texas and current senator from the State of Texas Sam Houston. This cemetery and tomb is currently on the grounds of Monument Hill and Kreische Brewery State Historic site and is truly "Hallowed Ground".